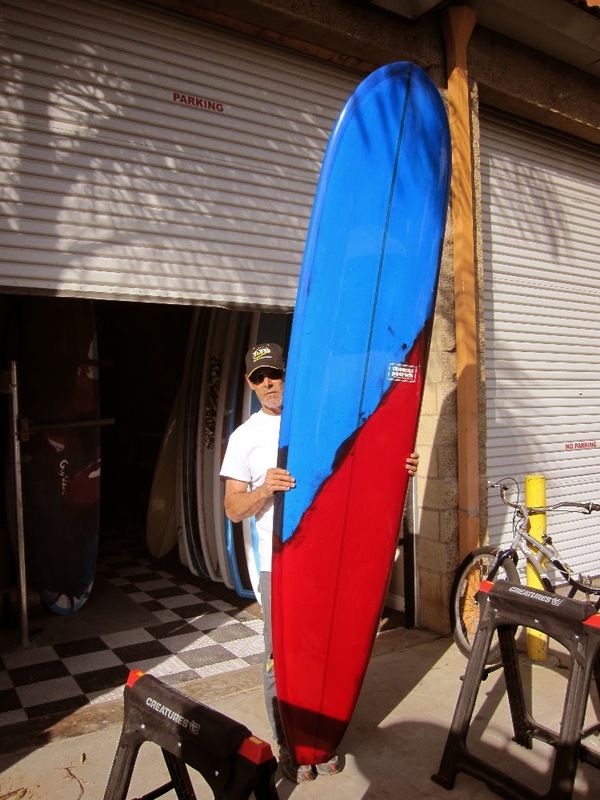 Kirt arrived at the shop today to pick up his new Nova Hi-Perf Noserider. This is a very unique custom board, something you won’t find at your local surf shop. Wide nose, narrow tail, nose concave and ultra-light weight make this a shape that can be surfed off the tail or on the nose at the highest level of longboard performance. Shouldn’t you have one in your quiver? Last month, Ray and I celebrated our third anniversary of building quality surfboards together.